“[The Lord] reveals the deep and secret things: He knows what is in the darkness, and the light dwells with Him” (Daniel 2:22). We are progressing through the Book of Daniel to identify the Remnant Principle. 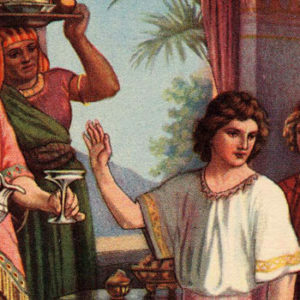 In the first chapter of Daniel we see that the Lord has reserved for Himself a remnant of four Jewish boys – Daniel, Hananiah, Mishael, and Azariah – to represent the Kingdom of God in the midst of Babylon. In the midst of universal compromise and failure, these four represent the Overcomers, those who maintain the Testimony on behalf of the Whole when the Whole either will not or cannot maintain that Testimony. The spirit of Antichrist will always attempt to pollute what it cannot destroy, and destroy what it cannot pollute. We see this evidenced in the Scriptures time and time again. In the time of Daniel, the enemy has succeeded in getting Israel to pollute itself. Everything is compromised and the Testimony is broken down. From the perspective of darkness everything seems to be going in their favor – with the exception of Daniel and his three friends, who are determined to maintain the Testimony. The conventional use of the word “testimony” means to make public confession, i.e., giving your testimony at church. In the Scriptural context, however, the Testimony of Jesus is much more than confession of Truth, it is the demonstration of Truth. I suppose we would be content to merely confess the Truth, but if we were never tested, it would never be demonstrated. For many, this is the case. Truth to them is a system of thought or a doctrine or a philosophy, but not an experience, not something that can actually be demonstrated. The Book of Daniel holds within it the secret to being an overcomer. Simply observe how in every case of conflict between the Remnant and the enemy that the Remnant is strengthened and the enemy is defeated. In every instance the very thing which is meant to destroy the Remnant actually serves to reinforce it. I wish the Church in general and every Christian in particular would pay careful attention to this. How often we give up and quit, when if we had only remained steadfast we would have been strengthened. Many times we are on the verge of a significant victory, breakthrough, or revelation but we give up when tested. The Book of Daniel will teach us to remain steadfast. Now remember that in Daniel’s time the powers of darkness are closing in upon the Jewish exiles. 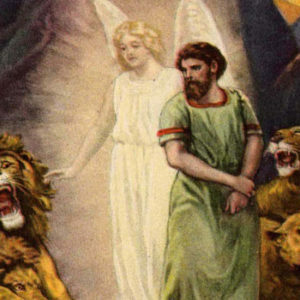 Daniel and his three friends stand alone against Babylon. They are the Remnant, the last link between God’s Will and Kingdom in Heaven and His Will and Kingdom on Earth. In a time of great spiritual darkness the Lord will remedy the situation by giving us a revelation of Himself. So in this case the Lord determines to reveal Himself in a powerful way, and the way He goes about it is interesting. 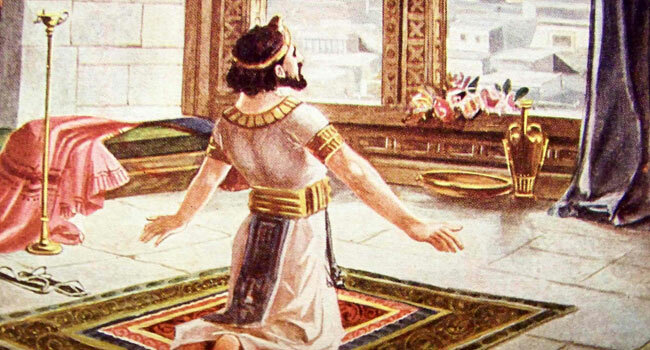 He does not reveal Himself directly to Daniel as we might expect, but the initial revelation of Himself and His Kingdom comes by way of the pagan king Nebuchadnezzar. Is the Lord limited at all? We limit the Lord so much with our doubt and unbelief, saying God does not do this or cannot do that. Just you try to paint God into a corner and see what happens! The Lord says, “It is time to make Myself known and to reveal My Glory to the Remnant, to let them and the rest of the world know that in spite of all appearances, the Heavens do rule. And I will do it in such a way that My interests are secured and My Remnant is cared for all at once.” What an awesome God! So there are two sides to this plan of God. The giving of the dream is one aspect of the plan, but the giving of the interpretation is another aspect. The “difficulty” here is that there are many fortune-tellers and interpreters of dreams and “wise men” in Babylon. There are literally hundreds of potential interpreters there in that great milieu of astrologists and wizards. So the Lord goes right around that “difficulty” by giving the dream to Nebuchadnezzar and then taking it away again! This presents quite a frustration to Nebuchadnezzar, who knows he has dreamed something, but cannot remember what he dreamed. He has seen something, but cannot recall the vision. 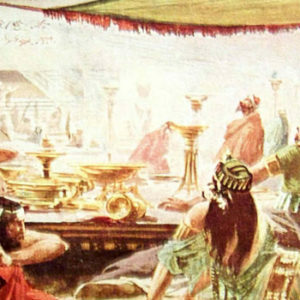 Nebuchadnezzar is no fool. He very cunningly demands that the wise men tell him both the dream AND the interpretation, correctly surmising that if they cannot tell him what the dream is, how can he trust them to tell him the interpretation? Anyone can give an interpretation, but it would take a miracle to tell a man what he dreamed and tell him what it means, too. The Chaldeans are taken aback. They respond that no one can tell the king what he wants to know, and no king in his right mind would ever ask such a thing. So Nebuchadnezzar, in his own warped sense of frustration and anger, orders the immediate destruction of all the wise men of Babylon. This sentence of death extends to Daniel and his three friends. Now we went through all of that to get to this point: observe how the enemy would use the very revelation from God as the thing through which to destroy the Remnant. 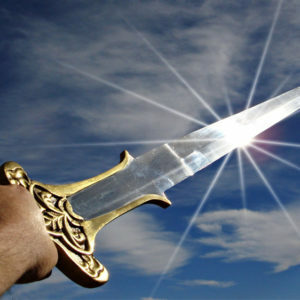 The adversary uses the very thing God intends to bless us with as a means to gain an advantage over us. Remember that it was God Who gave the dream, and it was God who then took the memory of the dream away. The enemy seizes the opportunity not only to shut up the revelation, but to destroy the people that he cannot otherwise defile. He cannot cause them to defile themselves, and he cannot touch them directly; but he can move Nebuchadnezzar to strike them. We should consider how many instances there have been of the enemy getting the advantage over people through the very thing God intended for their good. A man is given great revelation, but becomes lifted up in pride and destroys himself with it. Or, a woman is blessed with a musical gift, but becomes enamored with the world and uses it for purposes other than the Kingdom. In the case of Daniel, the occasion of God’s initial revelation was also the occasion of satan’s attempt to destroy him. We repeat: if we want apostolic revelation then we must be willing to endure apostolic persecution. The enemy ONLY comes in response to revelation. Whenever the pure Seed is sown, the enemy comes IMMEDIATELY, either directly, or through difficult circumstances, or through deception and distraction in order to render that precious Seed useless (Matthew 13:19-22). We might imagine all sorts of “attacks” being carried out against us but the truth is that we are absolutely no threat to the devil whatsoever as long as we are fumbling about, doing our little religious duties, having our meetings, and talking about the Bible. He is not interested in this in the slightest, and is content to just let us spin our wheels indefinitely. Even when we go through the motions of “spiritual warfare” the enemy is unmoved. We are no threat at that stage. But let a little Light begin to come forth and then the enemy becomes interested because Light is the only thing that threatens the Darkness. The Darkness is not threatened by religion, spirituality, doctrine, loud music, preaching, crowds of Christians, spiritual warfare, prophetic conventions, or revivals. Darkness is only threatened by Light, and to the extent that we have Light, to that extent the Darkness loses its power over us. When we abide in perfect Light then Darkness has no power whatsoever. AND LIGHT IS NOTHING MORE OR LESS THAN THE REVELATION OF CHRIST IN HIS GLORY. This truth is the underlying basis of Daniel’s prayer to God: “[The Lord] reveals the deep and secret things: He knows what is in the darkness, and the light dwells with Him (Daniel 2:22).” Darkness and Light cannot co-exist. The Chinese have a proverb: do not curse the darkness, but light a candle. So Daniel sought for more time to consider the king’s request, and with the support of his three friends, made intercession to the Lord in order to know the dream and the interpretation. The Lord answered by giving Daniel the exact same dream that night, and wisdom to understand its meaning. We should see here that it is the nature of God to REVEAL Himself to all who seek Him. 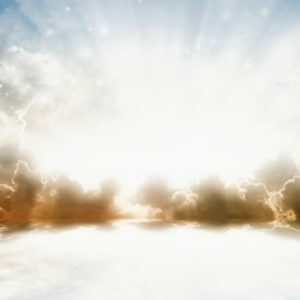 The purpose of all prophetic utterance and revelation is to make Him known (Revelation 19:10). Future events are revealed not for future events’ sake, but to bring the preeminence and sovereignty of Christ into the forefront. So let us look at Nebuchadnezzar’s dream, not to see history in it, but to see Christ in it. The dream is of a ferocious statue with a head of gold, a breast and arms of silver, a belly and thighs of brass, legs of iron, and toes of iron and clay. Then a rock smashed the statue’s feet and broke the entire image to pieces. Then the rock grew until it became a great mountain which filled the whole earth. The interpretation is that the statue represents a succession of worldly kingdoms. The head is Babylon, the chest and arms represent Medo-Persia, the belly and thighs represent Greece, and the legs and toes represent Rome. We are not going to develop that into detail, because that is not the purpose of the dream. The real significance of this dream is not that we know the identities of the world powers; the significant thing is this Rock! Oh, this glorious Rock upon which the Church is built, a Rock made without hands, which destroys the kingdoms of men and establishes a Kingdom that will never end! However terrible, ferocious, or strong these earthly kingdoms seem to be, they will be ground to powder before that Kingdom of God, and WE are kings and priests within this Kingdom! 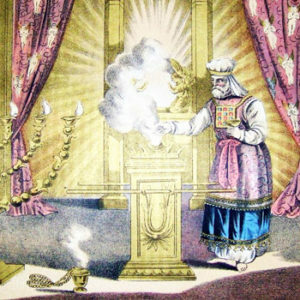 “He must increase, but I must decrease (John 3:30).” We see here the tremendous energy and power of God which is working to INCREASE the Kingdom of His Dear Son and establish it “on earth, as it is in heaven.” Along with the increase of the Son there is the DECREASE of all things opposed to the Son, the nations and kingdoms of this world, those things pertaining to antichrist. May I say that the reality of that Rock is just as certain and sure as the reality of that horrible statue. Why are Bible teachers and students so enthralled with the statue, with tracing the histories of those kingdoms, but overlook the weight and significance of that Rock which grinds to powder everything that opposes it? The Rock, the Christ Who fills all things, is the point of the dream. Just as certainly as Babylon is the head, and Medo-Persia is the chest and arms, and Greece is the belly and thighs, and Rome is the legs and toes, so certainly is that Rock smashing it all to powder and is INCREASING until it fills the entire earth! Hallelujah! When we pray for the Kingdom to come and the Will to be done on earth as it is in heaven we are not praying vain, empty, useless words. We are calling for CHRIST to fill all things! And here we see the end from the beginning. The Lord reigns! His Kingdom is increasing, and His Christ will have the preeminence over all! – This Kingdom is established by the God of Heaven. – This Kingdom cannot be overcome, destroyed, or defeated. – This Kingdom will consume every thing which opposes Christ. – This Kingdom will stand forever. Hallelujah! I hope you are not looking to some future fulfillment of these things – in other words, I hope you are not looking FOR victory, but are looking FROM victory. When Jesus began His earthly ministry some two thousand years ago, He began to preach and to say, “Repent, for the Kingdom of Heaven is at hand (Matthew 4:17).” “At hand” means near, at the door, and has arrived. We certainly do look forward to a future consummation of all things, a future completion, but the foundation is already laid, and IN GOD’S SIGHT IT IS ALREADY ACCOMPLISHED. He is Alpha as well as Omega. He is not Alpha in the beginning, and then Omega after everything is accomplished. He is both already. This is the basis of the Testimony of Jesus. Christ has already established His Kingdom, building the Church “upon this Rock” (Matthew 16:16-19), and through this Rock, is steadily filling all things. Now which is larger in your sight? When you look upon the world today, do you see the horrible statue, or the Rock filling all things? “We do not yet see all things submitted to Him: but we see Jesus (Hebrews 2:8,9ff).” In order to overcome, we must see that the Rock is larger than anything this world can produce. We must see a Christ and a Kingdom which is larger than this world, which is increasing, filling all things, consuming everything pertaining to antichrist, and standing forever. This vision, this seeing, is priceless. And this is what Overcomers demonstrate daily. If we have seen this, if we are convinced of its Truth, then we cannot help but order our lives accordingly. We will walk worthy of His calling. We will not allow ourselves to be infatuated with the world and the things of the world. How could we do that, knowing this Rock is consuming all things? Jesus is building His Church upon this Rock, and the Rock is the revelation of Christ given by the Father. The Church is simply the synthesis of those to whom the Father has revealed the Son. This Revelation of Christ leads us to the Testimony of Jesus. When this Revelation becomes more real to us than anything we can see or hear or feel then we are prepared to demonstrate the Truth that we proclaim, and the Testimony of Jesus is ours. THROUGH THIS TESTIMONY we overcome the dragon. We cannot be called Overcomers unless there is something to overcome. In other words, if there is not something which rises up and challenges our Testimony then we are nothing more than hot air blustering about. As a matter of fact, the more sure our Testimony, the more severely we will be tested. Let us not imagine that the longer we walk with Jesus the less difficult our trials will become. By no means! As the Lord is revealed to us and we increase in the knowledge of Christ our Testimony is enhanced and enlarged, and with this enlargement comes tremendous conflict, spiritual pressure, and testing. How could it be otherwise? If we are not tested then all we have is a teaching. We cannot demonstrate Truth unless it is tested. This matter of Testimony is something which cannot be received or apprehended in a sort of objective way. It has to be formed into you, it has to become a part of you, until the Truth is not just something you talk about or teach, but is something you live. This is why I say that the MESSENGER is the MESSAGE. Hearing the messenger is more important than listening to the message he brings. The “lovely feet” of the messenger is what makes the message so wonderful (Isaiah 52:7). We ought to be able to tell immediately if the message is a part of the messenger, or if it is just something obtained out of a book, or repeated from someone else. Do they just possess a message, or does the message possess them? Anyone can stand up and deliver a message, but it takes many years of God’s dealings to work the message into the messenger so that the messenger IS the message. Before I knew the Lord I always had to pray, fast, study, and work very hard at preparing my sermons. It took many hours to put together a teaching. The teaching would turn out well, but the Life was not in it. Now when I go somewhere to speak I never have to prepare myself in advance. I do not need to find a quiet place to pray. I do not require a moment to be alone. I do not have to have a place to think and write out some notes. Why not? Because my whole life is preparation. I am the message. I do not bring it, I live it. I am presenting Christ, and I do not have to get ready in order to bring Him forth. The best thing for me to do is stay out of His way! If you have to “gird up your loins” and get yourself ready to say something then you are not living it. If you are living it then you cannot prepare for it. Either you are prepared or you are not prepared. But nothing you do in the last hour or so is going to make you any more prepared if you are not abiding in the Truth at all times. Abiding is essential. So living out the Truth is more than just mentally comprehending it and reciting it. We overcome the dragon by the Blood of the Lamb, the word of our Testimony and by the laying down of our lives (Revelation 12:11). What is the Testimony? The Testimony is simply the Revelation of Christ as All in All being demonstrated in the lives of the Overcomers. There MUST be a demonstration, it must be existential, it must be living, it must be incorporated into the very essence of who and what we are: and for that reason, there is a test. Whenever we apprehend something of the Lord, to the extent that we receive insight and perception into His Person, to that extent we will and we must be tested in order to get the Revelation out into the open as Testimony, to take what we have seen and heard and make it known. For example, let us say that the Lord gives you light to behold Him as Victory. By the grace of God your eyes are opened to see that the Lord Jesus does not give you the victory, but that He has given Himself to you as Victory. The difference is incalculable. You rejoice in the Truth that is revealed to you. “Thank God, the Lord Jesus is my Victory! I believe the Word of God. From henceforth I will not seek victory as a thing, for Christ is Victory!” Strangely enough, it is not long before something comes around to test the validity of your revelation. This is the common experience of all the saints. Simply maintain your ground, and the enemy will flee. Thus, Truth is demonstrated. When the Lord first revealed Himself in me I thought that it would be smooth sailing from that day forward. Not so! I found that everything rose up before me as if to challenge what had been revealed. All of my circumstances gathered against me and seemed to be telling me that I was a fool and nothing I believed was true. Many “witnesses” came forth and gave very convincing proof that Christ was NOT my Victory, and that I must DO something about it. Immediately I had to decide if I was going to believe what the opposition said or believe what God said. This was quite a temptation! Watchman Nee said that satan really only has one temptation, and that is to bestir the saints: to get them upset and cause them to rise up and DO something instead of resting in the promises of God and the finished work of the Lord. Oh, I was sorely tested! But what it amounts to is believing the Lord or believing everything to the contrary. I determined to believe the Lord, and in time these circumstances completely dissolved before my eyes. It was a miracle! THE TRUTH OF CHRIST’S VICTORY WAS DEMONSTRATED. Thus, the Lord secured for Himself a Testimony, and I have no trouble confessing today that my victory is a Man, for Christ is Victory! We can say a thousand times that Christ is our Victory, but if in the heat of the moment we live like He is not our Victory then the Truth has not been demonstrated and we do not have a Testimony. The problem is this: we pray FOR victory instead of praying FROM victory. We look FOR victory instead of looking FROM victory. How glorious it is to stand FROM victory and SEE the Truth demonstrated! The Lord has enlarged me to see that Christ has spoiled principalities and powers, making a show of them openly and triumphing over them in the cross (Colossians 2:15). If I have truly seen this then I cannot be the same. How many Christians will nod their head and give their amen to this wonderful truth – but then go forth with a warfare mentality, trying to fight the devil as if there is something Christ left undone that they still have to perform? 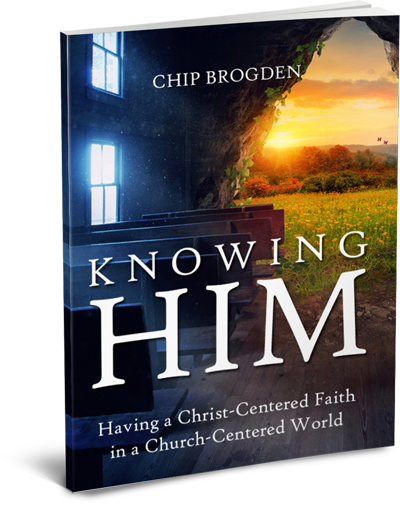 How does that demonstrate the preeminence of Christ? How does that maintain the Testimony of Jesus? It does not. We should give our amen to this, and then we should live like we believe it. This, to us, is no longer a Bible verse, but a statement of Truth, and we see it demonstrated constantly. Or what about I Corinthians 15:57? The Scripture plainly says, “Thanks be to God which gives us the victory through our Lord Jesus Christ.” For most people that is just a verse, just one of the promises of the Bible. They do not see the Truth. They do not see Victory as something which is theirs already THROUGH Jesus. They do not see the word “gives” as meaning that there is nothing for them to do to merit or obtain this victory. But the Scripture is clear – God GIVES us the Victory THROUGH Jesus Christ. This takes all of the fight and struggle out of it. Victory is GIVEN to us! And it is not through anything I do or have done or can do, it is THROUGH Jesus! Many Christians try to overcome by receiving a little of the Lord’s power in order to help them get the victory. May we see before God that He does not give us power to overcome, but He gives us Christ as our Victory. He does not gives us a few promises to confess in order to possess victory, but gives us the Victory through the Lord Jesus Christ. 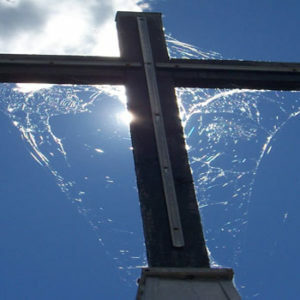 If I am able to do a lot of spiritual things and apply them to my circumstances so that I overcome, who gets the glory? Who gets the credit? If I do the work, I will claim the credit – maybe not consciously, but unconsciously, I will believe that it was my fasting or praying or Scripture study or my great spirituality or something which gave “me” the victory. But if Victory is something God GIVES me THROUGH Christ then I have absolutely nothing to do but open up my arms and receive HIM! In this way, who gets the credit? Who does all the work? Christ gets the glory and the honor and the praise, and we are the recipients of so much grace, so much that is freely given us. John writes, “For this purpose the Son of God was manifested, that He might destroy the works of the devil (I John 3:8b).” Since darkness gains its power solely upon the basis of deception, and not from any intrinsic power, any revealing or unveiling of Christ is hotly contested. To the extent that we see CHRIST, to that extent the enemy has lost power over us. It is just that simple. What a waste of time to “come against” everything and fight it head on. Such an approach will keep you occupied from morning until night, and from night until morning. No! The only way to destroy darkness is to bring in the Light, and all we need is the revelation of Christ. This revelation, this unveiling of the Son of God, is sufficient to defeat the enemy. When He is manifest then the devil’s works are destroyed; hence, there is nothing for me to “come against” at all. The Rock merely consumes everything. This is the reason why we have the Book of Revelation. In a time of great darkness, persecution, apostasy, and falling away, John is exiled to the Isle of Patmos. As the last of the Lord’s twelve apostles, to be sure the present crisis was heavy on his mind. What is God’s answer? A new spiritual warfare technique? A new formula for overcoming? A new promise to confess? The names of every territorial spirit? No, no, no, no! He simply pulls away the veil of the flesh, brings John into the Spirit, calls him up into heaven, and brings him into a deeper revelation and enlargement into the Person of Jesus Christ as PREEMINENT OVER ALL THINGS. THAT is the solution, not any kind of revelation into spiritual warfare, territorial spirits, and doctrines of demons. Everything pertaining to darkness is predicated upon a lie, and one of the greatest lies perpetuated is that you have to fight darkness by understanding the darkness. Nonsense! What futility! What frustration! How depressing! They say you have to “know your enemy”. No, you have to KNOW YOUR LORD! Let us BEHOLD THE SON IN HIS FULLNESS, and we will observe the darkness fleeing away before the brightness of that glory! I have produced three verses from the Bible in order to demonstrate the preeminence of Christ over all things. With a little thought I could produce many more. We all know these VERSES, but do you know this MAN? Do you only see Colossians 2:15, I Corinthians 15:57, and I John 3:8, or do you see Christ? Do you have three portions of Scripture, or do you have Christ? Do we have the Bible as a “thing” we can use as some kind of objective “sword”, or do we have the Living Word demonstrating Himself through us? The difference between the one who overcomes and the one who is defeated hinges upon whether these truths are mentally assented to or spiritually apprehended. If we can quote them, or even teach them, in a disconnected, dispassionate, objective sort of way then we will never enter into the experience of it. Daniel said, “The dream is certain, and the interpretation is sure.” Daniel received the same light as Nebuchadnezzar, but Daniel ordered his life according to that light, while Nebuchadnezzar only satisfied his curiosity with it. Is this talk of victory, overcoming, and Christ filling all things just a teaching to you? A doctrine? A theory? An interesting Bible study? A history lesson? Or is this Kingdom and this Rock and this Victory a certain thing, a sure thing? May it be certain and sure in us! Amen! Even so, come Lord Jesus! The word “through”…I would hear “through Christ” and keep reading til now…I wondered just what is “through” Christ? So I looked it up and I hope this helps to understand the word as it did to….A great definition….”within the limits of”…. God richly bless you for the good teaching.It is my prayer that I will have more from you to be able to train others in Ghana,West Africa. FAITH-REVIVING/STRENGTHENING WHAT WAS VITAL_ WITH HAVING REMINDED ME OF BASICS WITHOUT WHICH [MY] WHOLE FAITH-LIFE IN CHRIST IS FUTILE. All glory to God for this truth. Through much travailing prayer I’ve been delivered from the lies, hurt, and anguish that consumed me, and birthed the spirit of “Overcomer”, with the renewed power to claim “Victory with Jesus, yes He is my Rock!” I thank you dear brother for the confirmation brought forth this day as I feasted on the manna from heaven which is all part of the new season and fresh oil that my Lord knew I needed! I want to be enlarged and used of God to be the message and share the testimony that He has given to me. In the name of Jesus all glory to God! I love this very much. For so long in life I never understood the truth about who Jesus really is. I can see the that after spending many years in “church” I Never heard the needed truth. After coming out of organized religion I can now see truth. We must live a surrendered life. Not one filled with arrogance and pride. It is through suffering we discover who He is. Thank you Chip for doing this writing.